If you’re sailing in or out of Miami this weekend, you definitely won’t be alone. 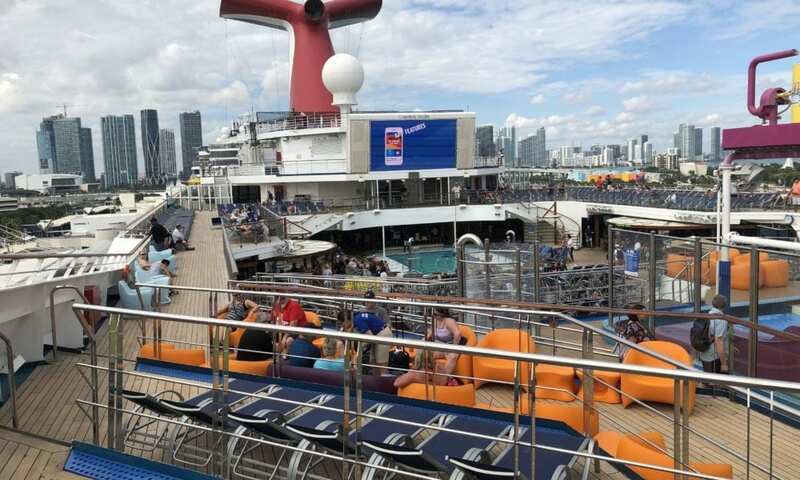 PortMiami will kick off the 2018-2019 cruise season by welcoming an estimated 52,000 passengers on Sunday, Dec. 9. If you think that sounds like a lot, you’d be right. In fact, this will set a one-day record for passenger traffic at PortMiami. A Carnival Fun Ship docked in Port Miami. So what ships will be docking at PortMiami on Sunday? Well, all of the major players will be well represented as nine different ships arrive. Carnival will have both the Horizon and Magic in port, while another ship named Magic — this one owned by Disney — will also be there. Royal Caribbean will also have two ships visiting, the Empress of the Seas and Allure of the Seas. Rounding out the lineup will be the MSC Divina, Norwegian Getaway, Oceania Riviera, as well as the FRS Caribbean San Gwann (which is actually a 400 passenger, high-speed Catamaran). Carnival Victory departing Port Miami. To say that PortMiami has seen explosive growth in the cruise sector would be an understatement. For comparison’s sake, in 1971, PortMiami saw 700,000 cruise guests. By 2018, that number had skyrocketed to 5.6 million. In 2018, Royal Caribbean International added sailings to the Empress of the Seas and welcomed the newly renovated Mariner of the Seas. Oceania Cruises and Disney Cruise Line extended their winter seasons, and the port also welcomed three new cruise lines — Viking Ocean Cruises, Victory Cruise Lines and Seabourn. As for the season ahead, “We’re more than ready!” she enthused.